With increasing traffic on smartphones and tablets it is essential that your mobile web presence is optimised for a seamless user experience. Smart Insights’ study mentions that the number of mobile users are more than the number of desktop users in 2014. Hence, making a mobile website is even more important. A website that functions well on a desktop does not necessarily work as well on a mobile browser due to various technical reasons. This leads to a drop in website traffic, online sales, and customer reach. Also, the customer behavior changes depending on the device they are using. Hence, the user interface of a mobile website must correspond to the customer behavior of a mobile user. A mobile website allows your target audience to effectively view and communicate with your website on their mobile phones. Also, having a website that is not mobile friendly is given lesser preference by search engines. Grofox is a mobile website development company with a team that is highly efficient. We work towards producing a mobile website that will contribute positively towards your organization’s website traffic and online sales. Outsource Mobile Website Development Services to us today! Allow your website to be accessed on the go. Allow customers to make a purchase from their mobile phone. Introduce a better user interface for you mobile phone audience. Reach your target audience who prefers mobile phones over desktops. 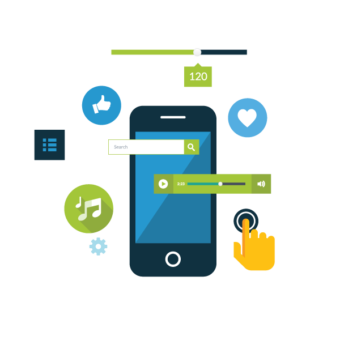 Search engines favor mobile friendly websites, hence giving them a higher search engine ranking. A mobile works differently than a desktop. The reason behind this due to a difference in the manufacturing software. Hence, the browsers work differently as well. That is why, your mobile website should work accordingly. Different users like to play around with the size of the browser window. This, in return, changes the size of the mobile website. While undergoing mobile website development, it is important to see that your website’s content adjusts to this change in window size. Different smartphones have different screen sizes, and it is hard to predict the screen size of a potential user. That is why, it is wise that the mobile website development is done in such a way that the size of the screen does not negatively affect user experience. Expand your business with Grofox’s mobile website services.